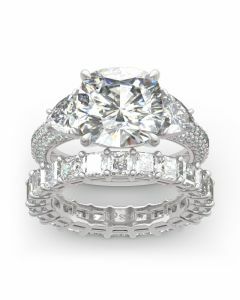 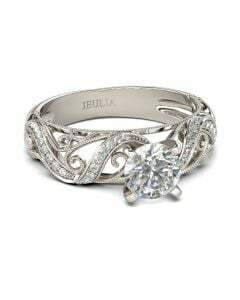 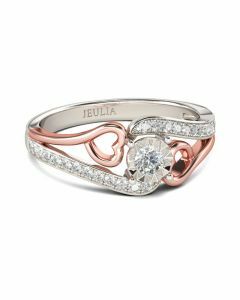 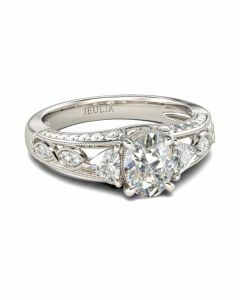 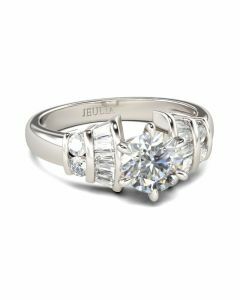 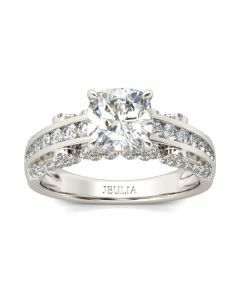 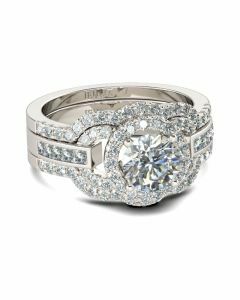 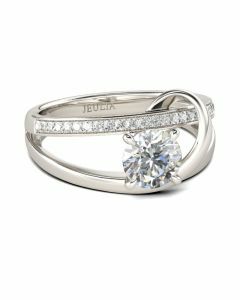 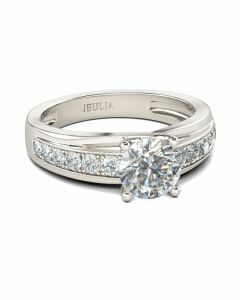 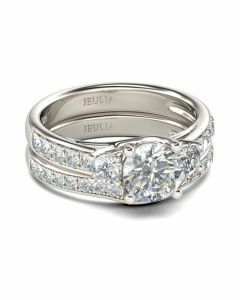 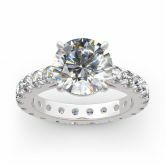 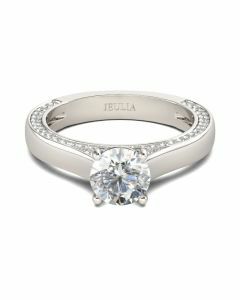 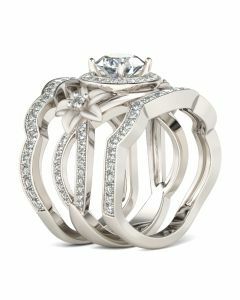 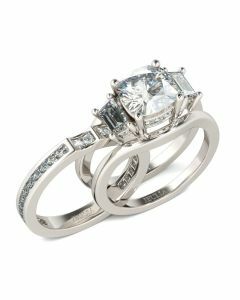 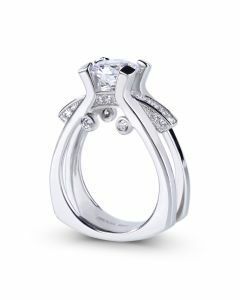 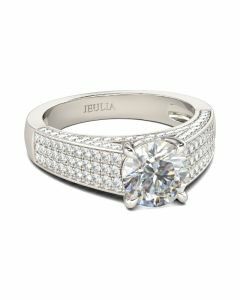 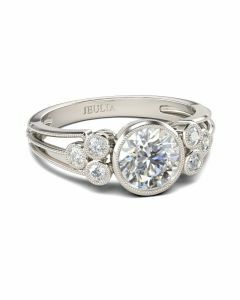 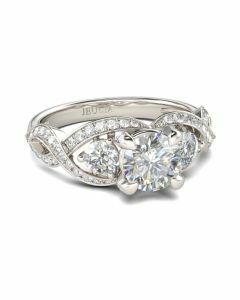 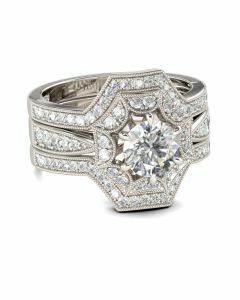 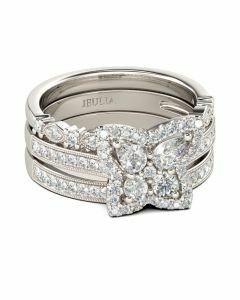 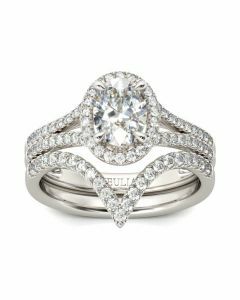 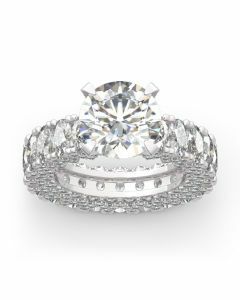 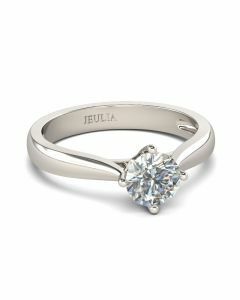 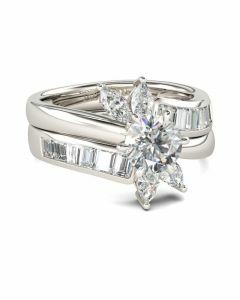 Stunning and sparkling, this engagement ring will capture your heart at first sight with its incomparable brilliance. 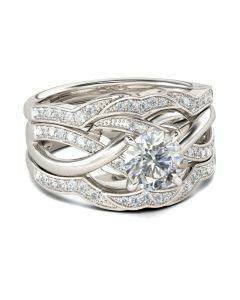 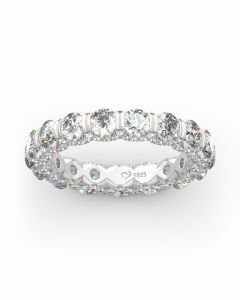 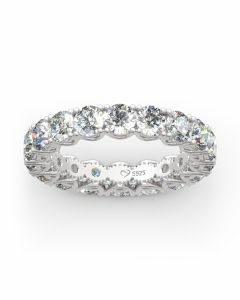 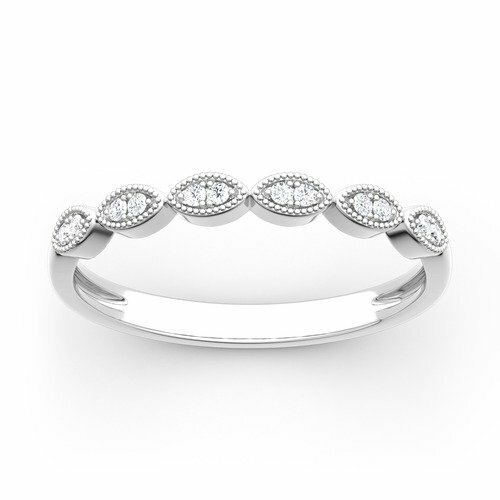 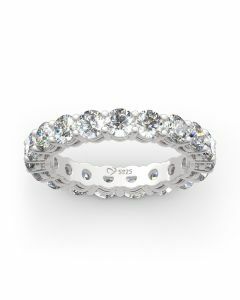 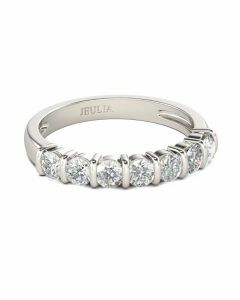 Crafted in sterling silver, the ring features a 10mm center stone set on an eternity band. 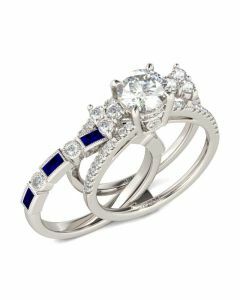 The shank glistens with twenty round stones in same size, which make the ring sparkle crazily from every angle. 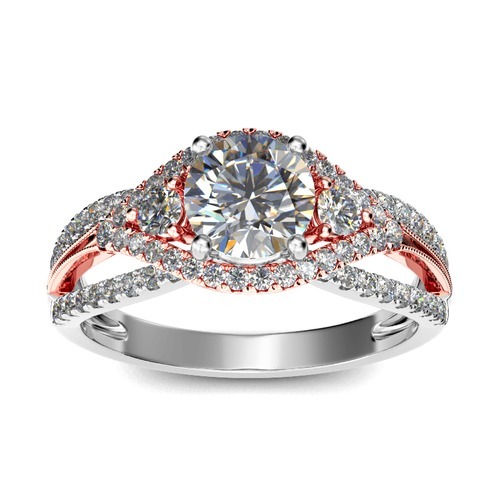 Treat yourself or dazzle her with this masterpiece.